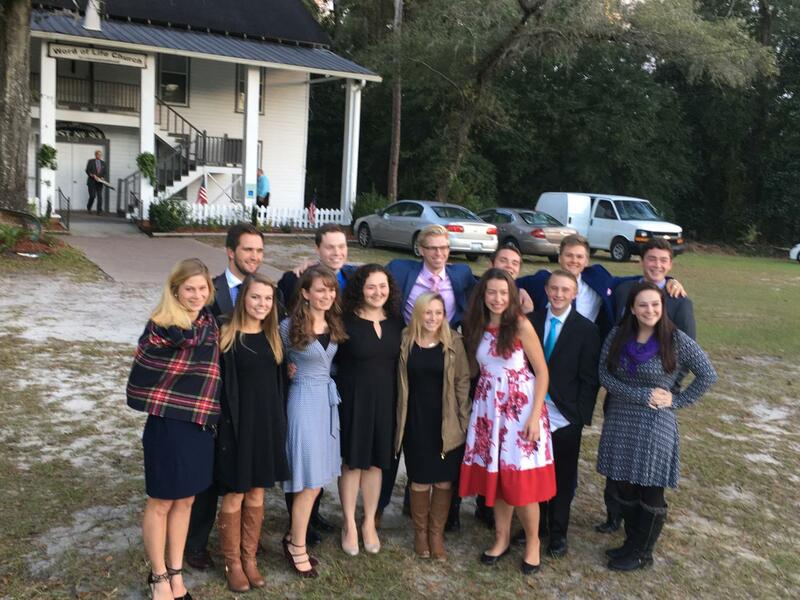 Living Education-Charlotte students had an exciting and educational trip to Charleston this past weekend (October 27-28 2018). On our way to Charleston, we visited the Walterboro Congregation in South Carolina where we were welcomed by Mr. Whitaker (a Pastor) and the brethren. Inspired by the sermonette and sermon, we spent time after church service fellowshipping and enjoying a delicious meal prepared by the Walterboro congregation with a southern hospitality. Sunday morning (7:30 AM) we left for Charleston. Arriving at the National Park Service, we went aboard the “Carolina Belle” boat tour to Fort Sumter. 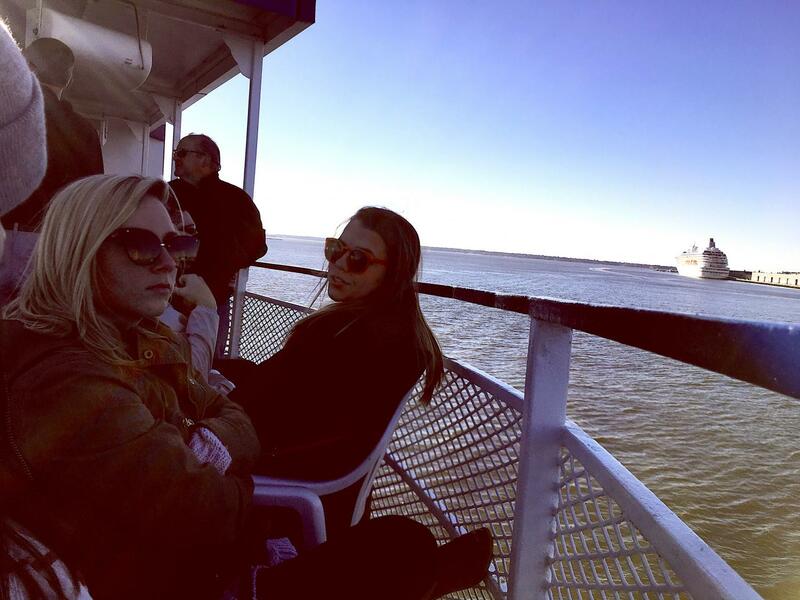 As we crossed the chilly and breezy Charleston harbor, the boat captain explained to us the rich history of the Charleston observatories and other points of interest in the surrounding area. 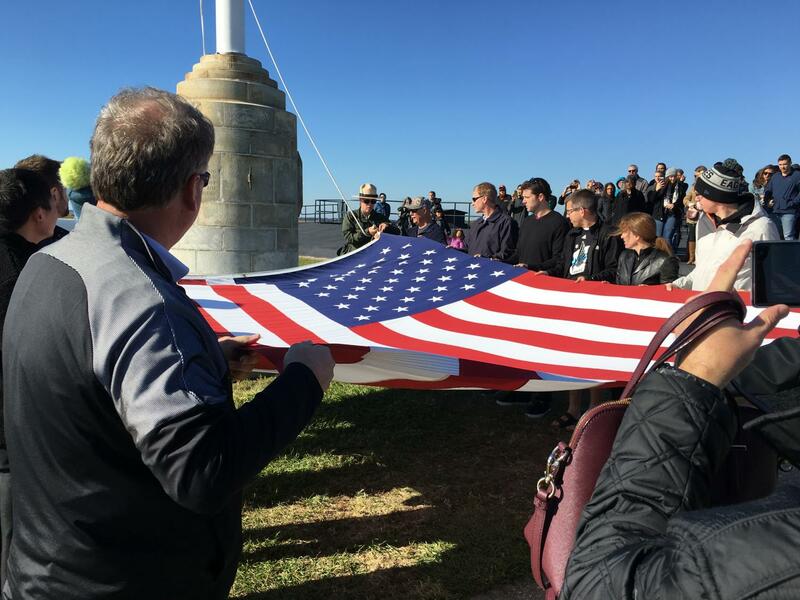 When we arrived at Fort Sumter, many of us were privileged to participate in the raising of the flag on the Fort. 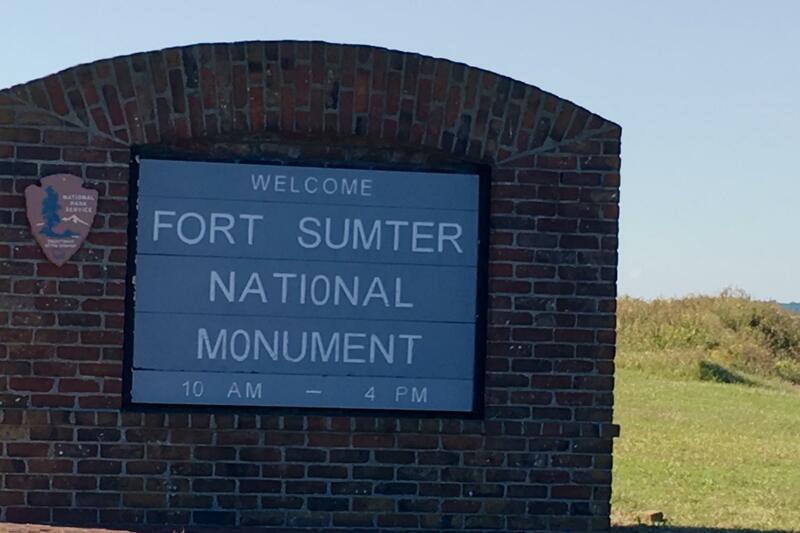 We also were able to view many canons and weapons of war which had been used at the fort during the Civil War. Our tour concluded with an orienteering game in which we participated as we walked through the beautiful and historic town of Charleston discovering landmark buildings. The Mail Processing Department here at headquarters is a bit like the front lines. Walking into MPD, the smell of fresh paper immediately pervades the senses, as the sight of stacks of crisp new envelopes to be stuffed, the whir of the printer putting addresses onto new cards for the semi-annual or for some other letter or offer, and the mechanical clicking of “Millie” (the envelope stuffer) give the feeling of a busy and productive environment. More than that, there is a certain passionate focus and warmth which brings a certain awareness that here, God’s work continues on. MPD is the last stop for every piece of mail sent out to the world, a fact which requires serious dedication and unity in spirit to do the job properly (as is required of all those who are a part of the work of God). Those in MPD seem to understand the necessity for teamwork. 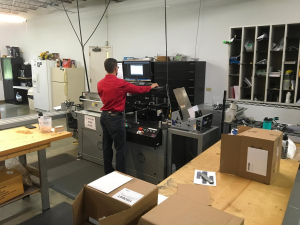 Many of the tasks in the department have overlap between members of the team. All the members have a function, but they cannot accomplish what they are meant to do without the help of all the other members. “We are in this together,” speaks Donald Matherly on the importance of teamwork, “We have to be able to help one another, and pull other members up.” The body of Christ works in a similar way, as every part of the body has a purpose and a function, yet cannot exist separately from the other parts. God gives different members of the body various roles and talents “…for the equipping of the saints for the work of ministry, for the edifying of the body of Christ, till we all come to the unity of the faith and of the knowledge of the Son of God, to a perfect man, to the measure of the stature of the fullness of Christ.” (Ephesians 4:12-13). God is creating a family, perfecting and molding every piece to perfectly fit together for the fulfillment of His great purpose. 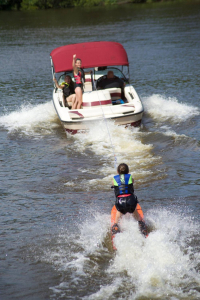 If you have ever been water skiing, you understand the exhilarating feeling of being pulled up out the cold water from the abrupt, powerful tug of the speeding boat ahead of you. With the spray from the wake hitting your face, the wind whipping against your legs, every muscle tightens to brace against the choppy water under your skis. You feel the urge to pull your arms back against the rope, but knowing that if you try to pull, you will fall, you lock your arms and tighten your already burning grip on the rope handle. You begin to settle into the pace, finding an even balance on the skis, using your knees as shock absorbers to the chop, when without warning, the boat suddenly turns, sending you flying out toward the rough edges of the wake. White knuckled, you allow the boat to pull you over the jagged water, and just when you think you might fall, you are outside the wake, skis skimming smoothly across the calm water. Celebrating this small victory, you relax your grip slightly, perhaps even let go with one hand to wave at the spotter. You would love to stay outside of the wave forever, but inevitably you will have to go back across the choppy water. You once again grasp the rope firmly with both hands to prepare for the quick turn of the boat, which sends you flying across the whitecaps to the other side of the wake. When you ski, you must always keep your knees bent. It helps you absorb the shock of bouncing over the chop. As the water behind the boat is not smooth, similarly life is not always smooth sailing. In life you must learn to take things in stride, and be ready for anything that may come your way. Keeping your knees bent keeps you balanced, and in life being prepared for the unexpected does as well.